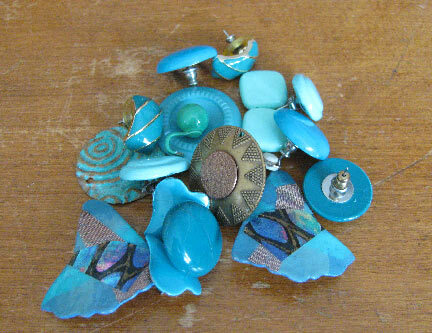 Broken jewelry pieces, polymer clay, and two-part epoxy resin...what could be more fun? You can't tell from this picture since the piece is resting on a pale background, but the resin part in the middle is clear. I could have added more do-dads or an image if I had wanted to, but I really liked the effect of the beads floating. 1. Pick through your collection of pieces, bits, and bobs. Chose more than you'll need. 2. 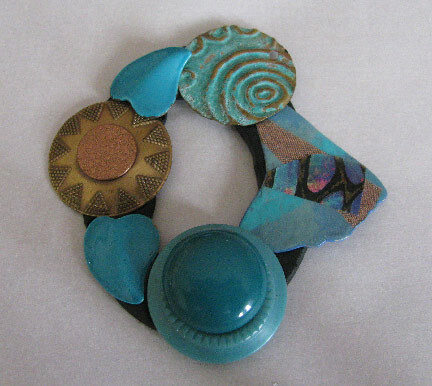 With a scrap piece of polymer clay, create a flat, enclosed shape as an anchor for your jewelry pieces. 3. Press them into the clay to make it easy to see where they will go after baking the clay. Bake according to the manufacturer's directions, keeping the piece flat. 4. 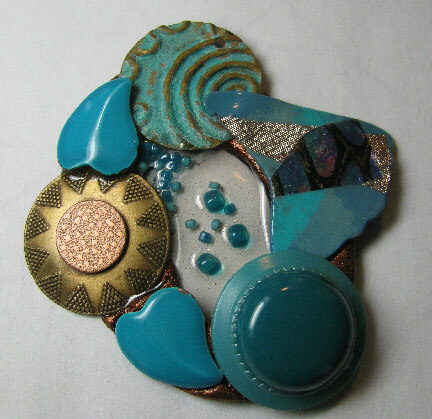 If desired, add some colorant to the base piece. 5. Place a piece of strong packing tape on the back of the clay shape. Rub it well to get it to adhere all the way around. 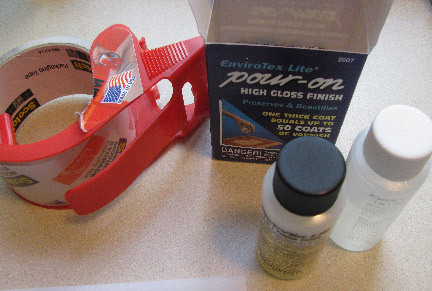 Mix and pour a small amount of resin according to the manufacturer's directions. 6. In spite of being as careful as I could be, this bubble escaped my notice as the piece dried and cured. No problem, though. I just added beads to that spot. 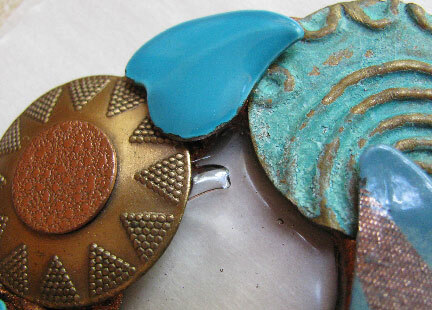 When the piece is fully dry, carefully remove the tape from the back, peeling slowly. 7. I don't have any of those no-hole microbeads, so I just used size 11/0 and size 8/0 seed beads, and I used a toothpick to flip them on end so the holes don't show. 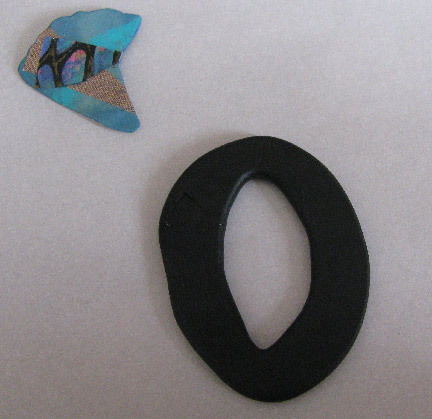 I poured another layer of resin over them, but they are not fully submerged. 8. 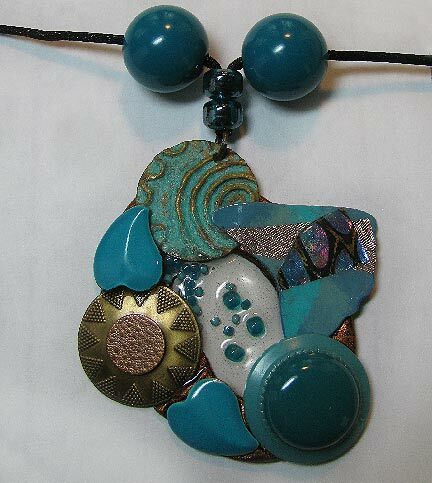 I added a jump ring and a few beads to a satin cord to finish the pendant off. That is fabulous. 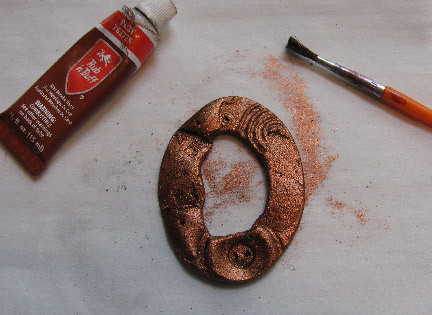 What a great idea for a feee form pendant! Thanks! There seem to be soooo many possibilities with this style! How did I miss this?! I love it; and it's something even I could do. Thanks for the directions. Of *course* you could, Eileen!